Thanksgiving is just around the corner and I’ve rounded up some of my favorite recipes for the big day! I’ve got traditional dishes, low carb and keto alternatives, fun twists on classics, and delicious desserts all in one place to make it easy for you to plan your Thanksgiving menu. So, whether you’re looking for some classic Thanksgiving side dishes, keto or low carb recipes, or some of my favorite Asian-inspired dishes, I’ve got you covered. 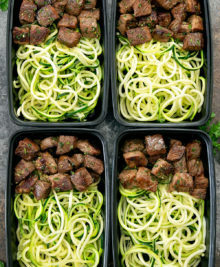 Click on the links to get more details about each recipe – I hope you find some new ones to try! Turkey is a go-to on Thanksgiving but it doesn’t have to be a traditional oven-baked one! 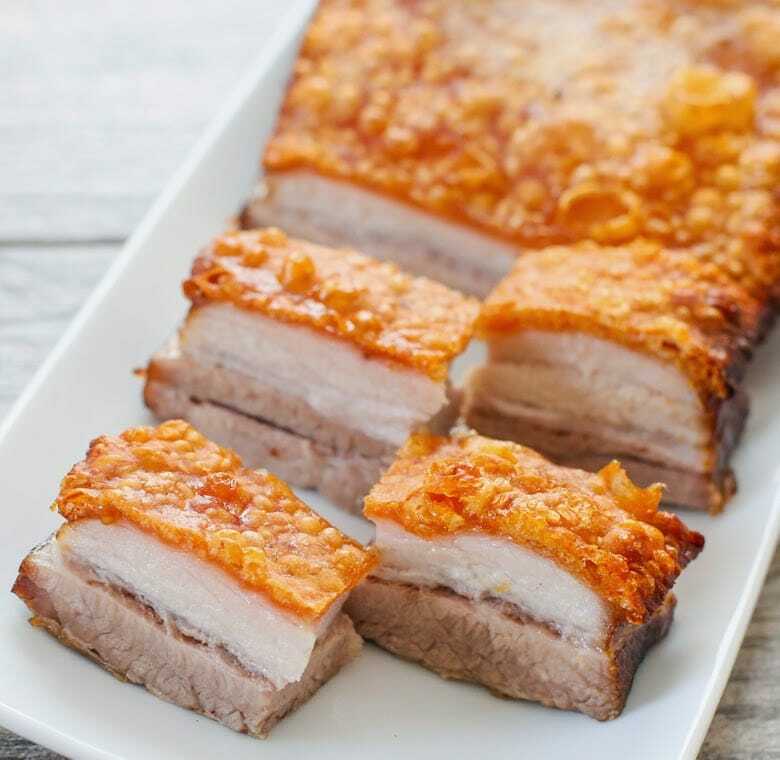 Or, if you want to forgo turkey altogether, I have a delicious pork belly recipe that no one will forget! 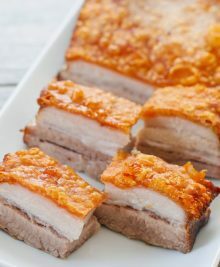 Crispy Golden Pork Belly | Turkey is great but sometimes it’s fun to switch things up so if you want to try something new and different this crispy pork belly is a delicious way to switch things up this year! Deep-Fried Turkey | Or, if you’re tired of old-fashioned oven-baked turkey you should definitely give my deep-fried turkey recipe a try. The turkey comes out golden brown with crispy skin and tender juicy meat. It’s our favorite way to prepare our turkey each year. 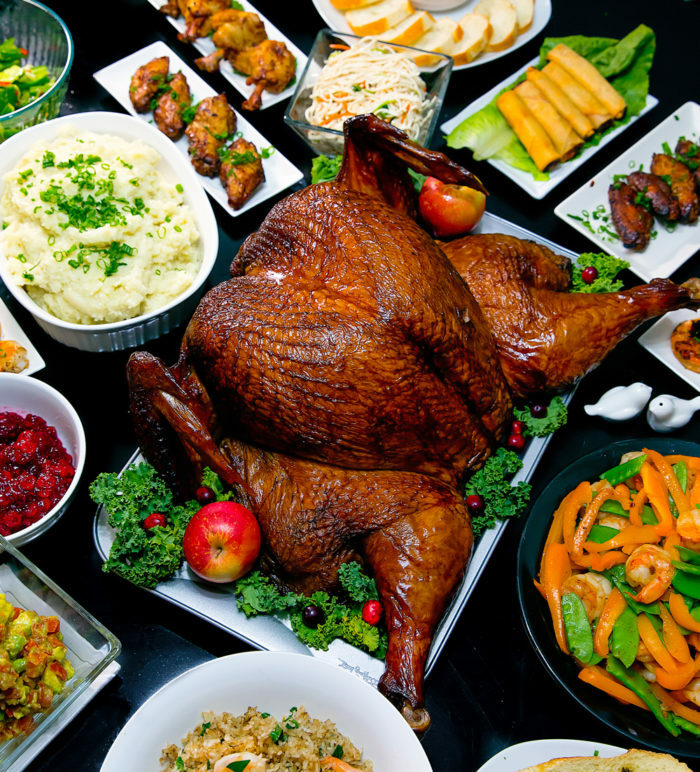 For some, Thanksgiving is all about the side dishes! I’ve gathered up my favorites including some Asian-inspired ones, a few decadent ones, and plenty of healthy side dishes, too. Mashed Potato Cones | I love dishes that are not only delicious but also fun to look at and eat! These mashed potato cones are a fun way to serve potatoes and are easy to make. Marshmallow Stuffed Hasselback Sweet Potatoes | This is my twist on a classic sweet potato casserole. Individual sweet potatoes are sliced hasselback-style and stuffed with olive oil and mini marshmallows. Cornbread Sausage Stuffing Muffins | These savory muffins are a fun twist on stuffing! Instead of baking the stuffing in a baking dish serve it up muffin-style. 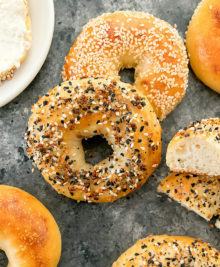 They’re the perfect savory bite. 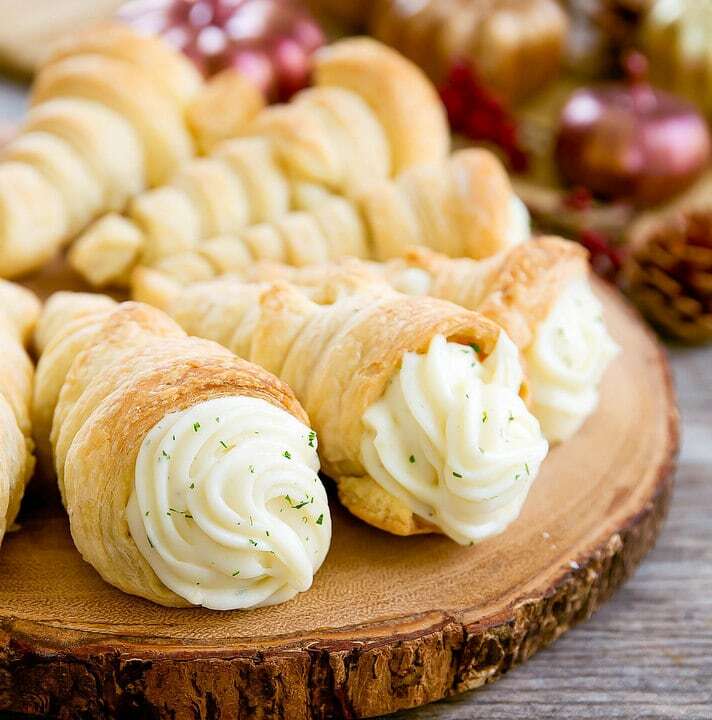 Mashed Potato Pastries | Another way to put a fun twist on mashed potatoes is to wrap them up in puff pastry and bake them until the pastry is golden brown and flaky and the mashed potatoes inside are creamy. Serve them as a fun side dish or as an appetizer. 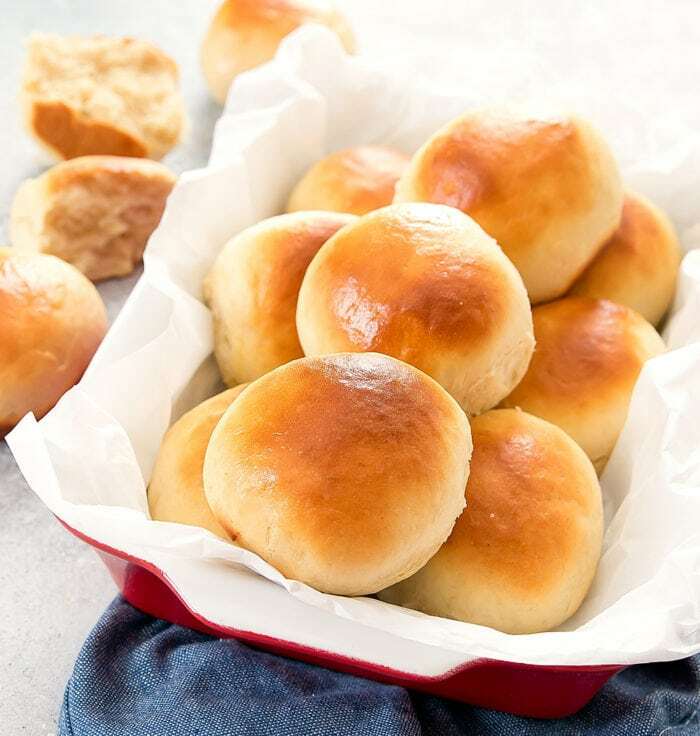 30 Minute Buttermilk Rolls | These fluffy and soft homemade buttermilk rolls are just 30 minutes from start to finish! 3-Ingredient Buttermilk Biscuits | Making Thanksgiving dinner is hard enough without adding complicated baking recipes, so if you want a homemade bread these easy biscuits are the way to go. 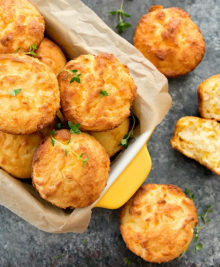 Low Carb Keto Biscuits | These savory biscuits taste just like drop biscuits you might order at a restaurant but they are low-carb, gluten-free, and Keto. 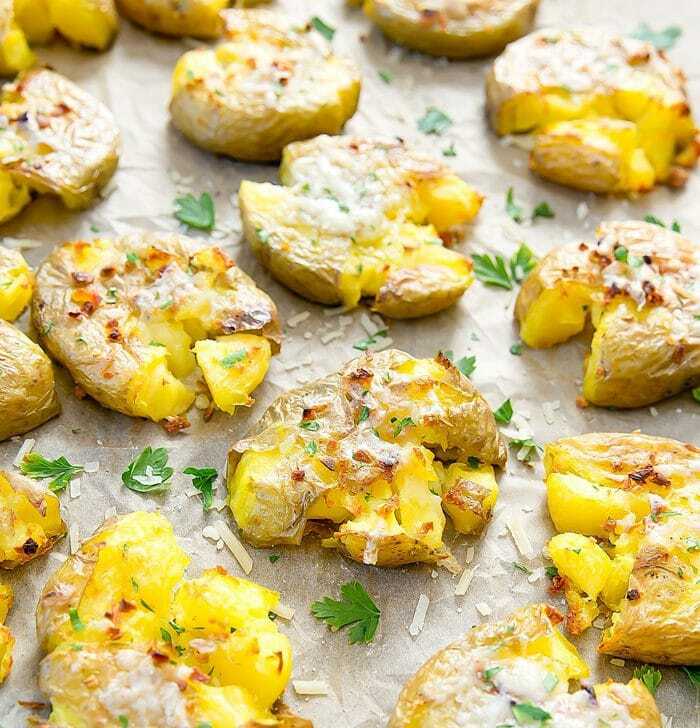 Garlic Parmesan Smashed Potatoes | If you want to switch up the potato side dish try smashing your potatoes instead of mashing them! These garlic parmesan potatoes are crispy on the outside and creamy on the inside. Instant Pot Mashed Potatoes | Creamy and fluffy mashed potatoes that cook in the Instant Pot in 10 minutes! Plus, you don’t have to take up space on the stovetop boiling potatoes – the Instant Pot does all the work. Creamy Mashed Parmesan Cauliflower | This creamy mashed cauliflower is the perfect faux potato dish. It’s so flavorful and creamy you won’t miss the potatoes at all! Cauliflower Gratin | Potato gratin is delicious but really heavy so I like to make this cauliflower gratin instead. You get all of the cheesiness of the original but without getting weighed down, which means you’ll have more room for dessert! Hasselback Maple Pecan Sweet Potatoes | This sweet potato side dish is a fun and healthier alternative to sweet potato casserole and it’s easy to make a big batch of them if you have a crowd to feed at Thanksgiving. 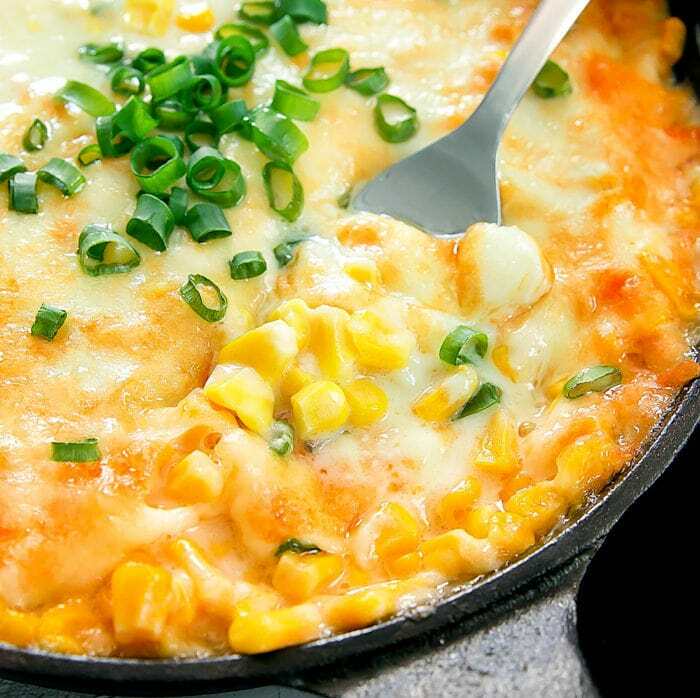 Korean Corn Cheese | This corn dish is a popular Korean side dish and is very similar to creamed corn except it has lots of melted cheese on top. Plus, it only takes about 15 minutes start to finish. Slow Cooker Creamed Corn | Creamed corn is a classic side dish and I like to use my slow cooker to make it. It saves room on the stove and in the oven and all you have to do is dump the ingredients in the slow cooker and let it do all the work! Roasted Spicy Garlic Brussels Sprouts on the Stalk | Brussels sprouts are brushed with spicy garlic oil and roasted directly on the stalk for a fun presentation. 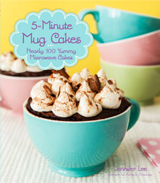 Plus, they’re so easy to make! Shaved Brussels Sprouts Salad | This delicious fall salad has lots of cranberries, apples, pecans and parmesan cheese and is so easy to make. Finely shaved Brussels sprouts are tossed with the other ingredients and a simple vinaigrette, which helps soften the sprouts. It’s the perfect balance of sweet and savory. Baked Parmesan Asparagus Fries | These are a great appetizer, but they are also a great side dish. Asparagus spears are coated in panko breadcrumbs and parmesan and baked until they’re hot and crispy. 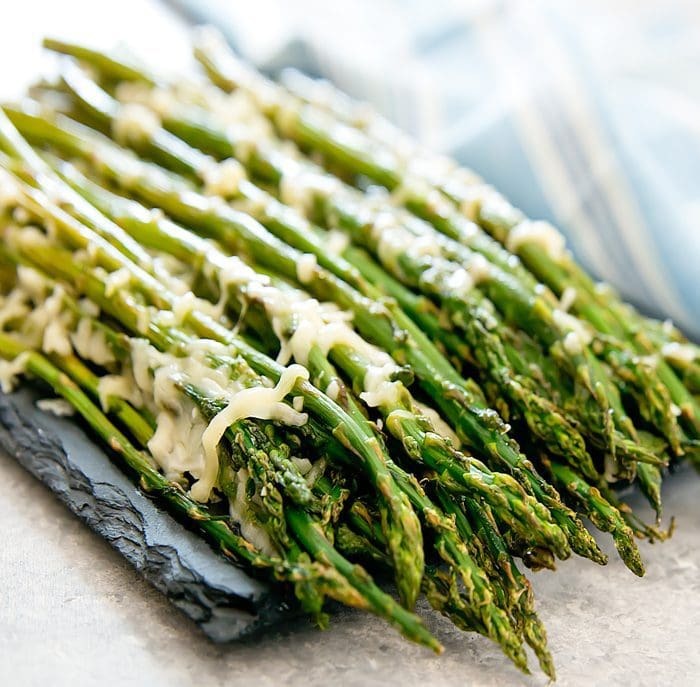 Garlic Parmesan Roasted Asparagus | This asparagus recipe is a low-fuss 4-ingredient side dish, plus it only takes 10 minutes to cook. Kale Quinoa Salad | With so many decadent side dishes it’s nice to have a light and refreshing salad to serve, too. This salad is packed with quinoa, kale, cucumbers, and tomatoes and the vinaigrette is super easy to make. Garlic Green Beans | Another quick and easy dish are these green beans. 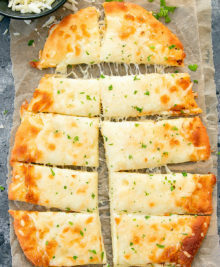 They’re crispy, garlicky, and ready to serve in less than 15 minutes. Girl & The Goat Green Beans | These Asian-style green beans are my take on the famous ones served at Girl and the Goat in Chicago. Parmesan Roasted Cauliflower | All you need is three ingredients and a sheet pan for this easy side dish. Honey Garlic Roasted Carrots | Carrots coated in a sweet garlic glaze and roasted until they’re crisp-tender. It’s another easy side dish that’s ready in less than 30 minutes. Garlic Parmesan Spaghetti Squash | Spaghetti squash can be a pain to deal with, but I use my microwave to cook it and it’s so much easier. It makes a great low-carb side dish for Thanksgiving. 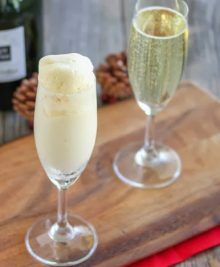 If you’re tired of pie and need some new Thanksgiving dessert inspiration here are lots of ideas! From pumpkin pie muffins to beautiful apple rose tarts there are a lot of ways to switch up dessert on the big day. 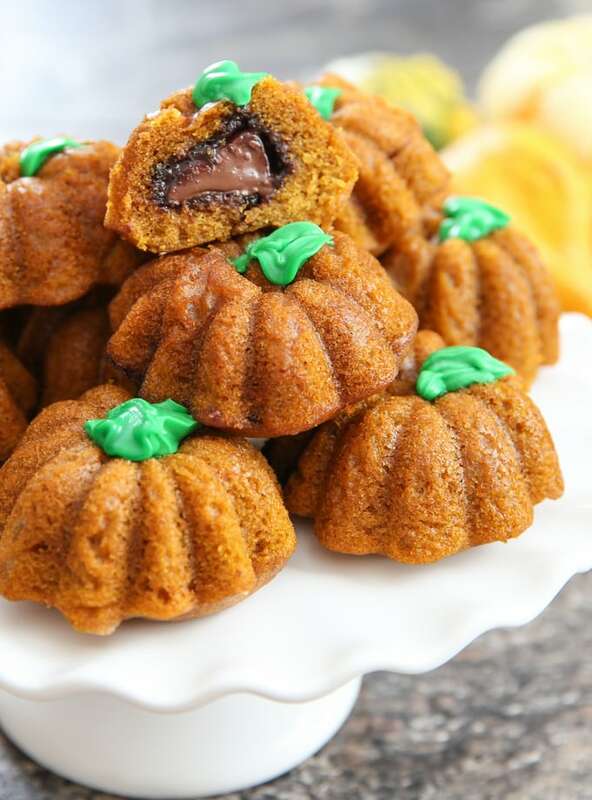 Pumpkin Nutella Cakes | These individual pumpkin-shaped cakes are fluffy little bites filled with creamy Nutella. I once made these for a cooking demo and they got the stamp of approval from famed-chef, Bernard Guillas! Pumpkin Bread | This pumpkin bread is moist with just the right balance of spices. It’s one of my go-to desserts recipe for Thanksgiving. Momofuku’s Corn Cookies | Cookies may not be a traditional Thanksgiving dessert, but I think these make a great addition to a holiday dessert spread. 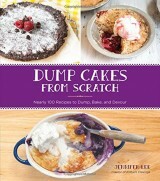 Or, they’d be a great take-home treat for guests to enjoy later. 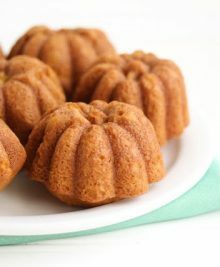 Pumpkin Donut Muffins (Oil Free) | Muffins are basically mini cakes and these pumpkin ones are the perfect post-dinner bite. Plus, they’re oil-free! 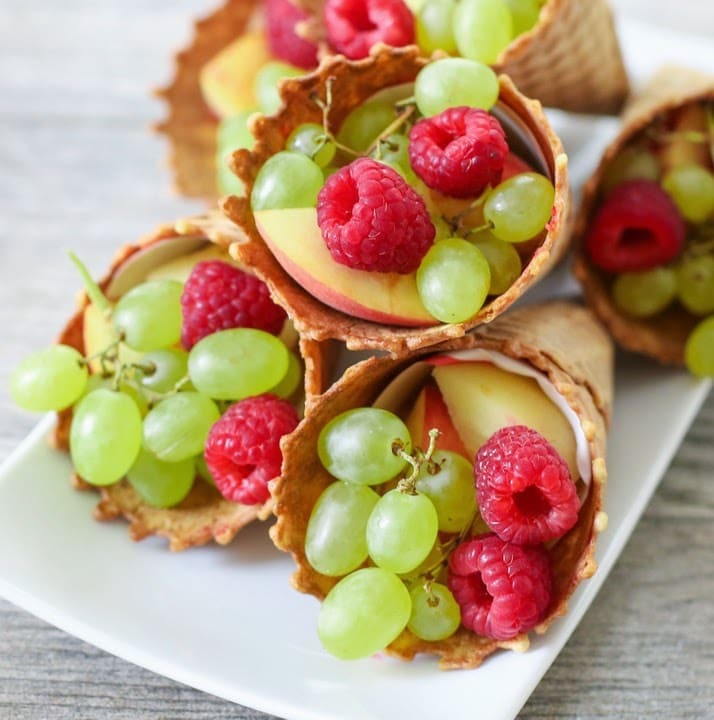 Fruit Cones | For those who just don’t have room for a lot of desserts or want something light and refreshing these fruit cones are the perfect treat to serve. Flourless Pumpkin Pie Muffins | These mini muffins taste like pumpkin pie in muffin form! 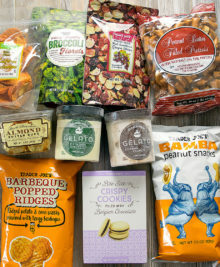 Plus, they are gluten-free, paleo, and refined sugar-free. Flourless Chocolate Pumpkin Bread | This chocolate pumpkin bread is another gluten-free option that you bake ahead of time and then slice when you’re ready to serve dessert. Apple Pies Baked in Apples | These apple tarts made with puff pastry sheets are easy to make and look so beautiful when you serve them. 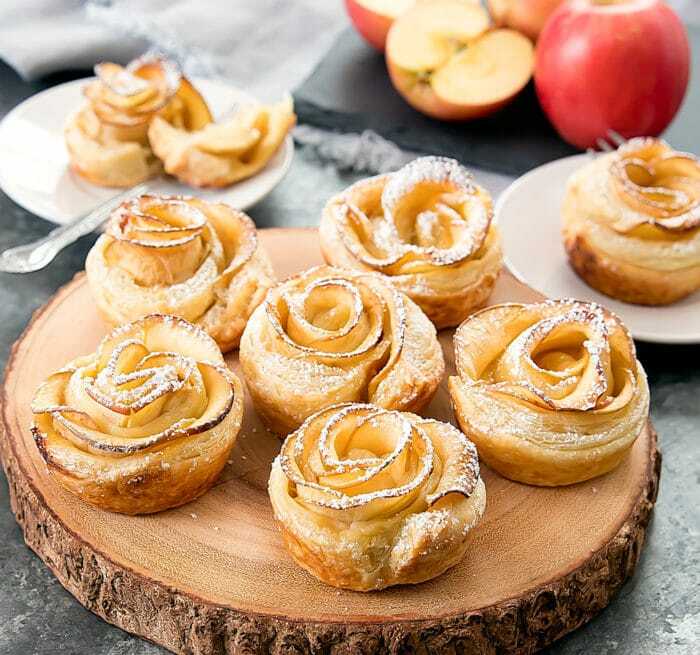 Apple Rose Tarts | These apple tarts made with puff pastry sheets are easy to make and look so beautiful when you serve them. Flourless Nutella Pumpkin Bread | I love the combination of Nutella and pumpkin and this is another great gluten-free dessert to serve up instead of pie. Pumpkin Mochi | If you follow my blog you know how much I love mochi and so I gave my favorite chewy treat a Western twist by adding some pumpkin. They also happen to be gluten-free, too!